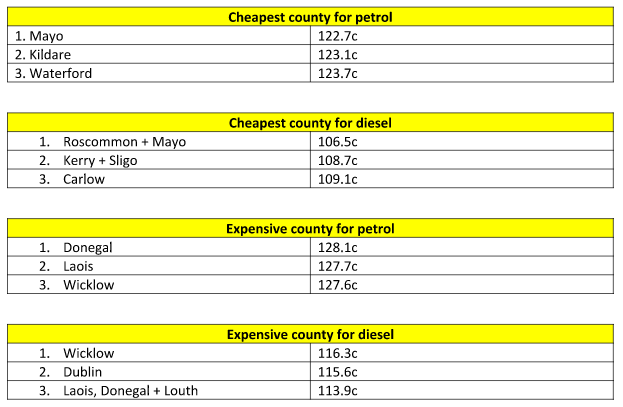 Donegal is the most expensive county to buy petrol and Wicklow is the most expensive place to buy diesel. DONEGAL IS THE most expensive place in the country to fill your car up with petrol. Those in the far north-west can expect to shell out 128.1 cents per litre – which puts it 1.6c higher than the national average. For those driving diesel cars, Wicklow is the most expensive destination with the fuel selling for 116.3 cents per litre – 3.5c above the national average. These figures from the AA give a breakdown of national fuel costs and come at a time when prices are hitting their lowest point for a number of years thanks to dips in international oil prices. The national average fuel costs are now 126.5c for petrol and 112.8 for diesel. What trends did it find? It was noted that in general, fuel sold nearer to the border tended to be more expensive. This is down to the fact that motorists from the United Kingdom had a tendency to cross the border to avail of cheaper fuel prices. Another trend was that some less busy petrol stations may take longer to have fuel delivered to them and then, in turn, be slower to drop their prices. Click here to see a larger image. 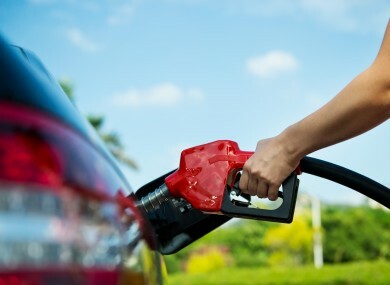 The cheapest county to buy petrol in was Mayo, where it sold for an average of 122.7 cents per litre, 3.8 cent below the national average, with Mayo and Roscommon holding the mantle of being joint cheapest places to fill a diesel car, costing an average of 106.5 cent, more than 6c cheaper than the national average. What else did it find? It was found the fuel prices in Dublin were pretty close to the national average, with just a small variation on Diesel. The AA points to fuel taxes as an area where consumers are suffering, saying that the increases introduced as part of austerity budgets after 2008 should now be done away with. The AA National Fuel Price Index tracks monthly national average figures. Email “Here is where you can find the cheapest and most expensive fuel in the country ”. Feedback on “Here is where you can find the cheapest and most expensive fuel in the country ”.